Reclaim Magazine – London Calling! I wanted to share these shots with you that I styled and photographed for my monthly feature in Reclaim Magazine. The theme of the issue was London, so my brief was to style up four looks based on the capital (these two were my favourite). I had such fun putting these shots together. I shot it back in May, on Harry and Meghan’s wedding day, which seemed rather apt, and really put me in the mood! 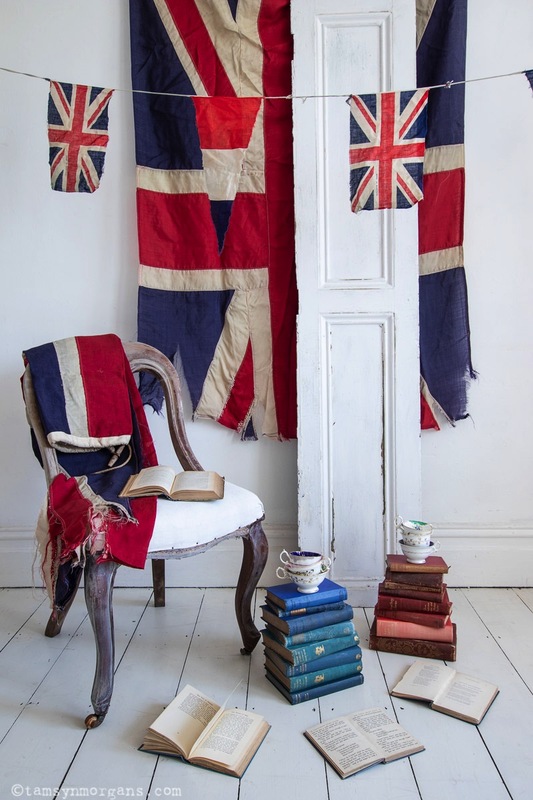 The first shot was based on the idea of ‘Afternoon Tea’, and gave me an opportunity to pull out all my gorgeous vintage Union Jack flags. I wanted a slightly Mad Hatter tea party feel to the photo, so piles of books and teetering tea cups were the perfect addition. 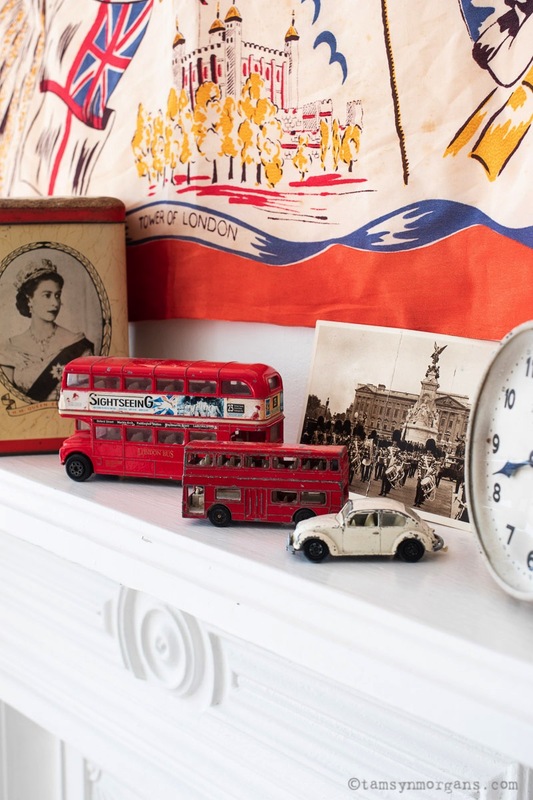 The second shot was a simple shelfie, but I love the colours and the little vintage Routemasters, borrowed from my son’s bedroom! We are off camping in the and dunes for a couple of nights. I am looking forward to some sea air, and cooking on our little stove. I have packed a bag with some paints in, I’m really hoping to have a play around with some canvases I have.